The 31st Guavaween is here. Following the March of the Pumpkin King, thousands will flock to Guavaween for the live music, costume contests, and much more. There will be plenty of entertainment including Live Performance by KISS ARMY, headlining DJ Fresh . Join thousands of people in costumes at Tampa Bay's largest Halloween party! This year's event takes place following the March of the Pumpkin King Halloween Parade down 7th Avenue. Several full liquor bars throughout the event including 2 VIP Only bars serving Open Bar for VIP Ticket holders. 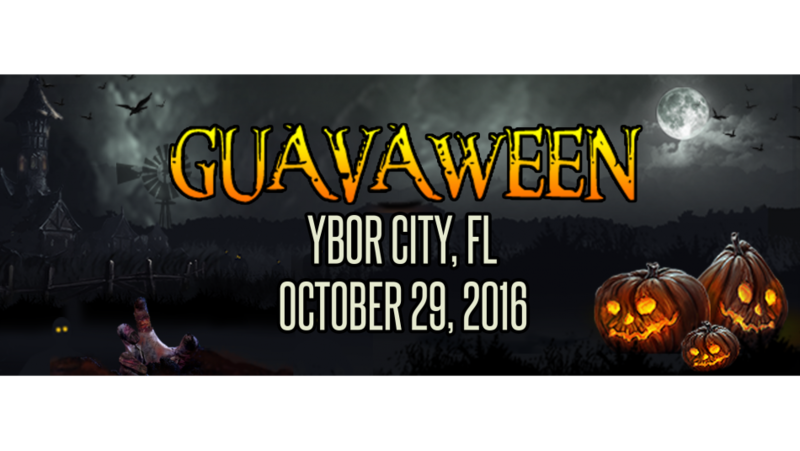 The famous Costume Contest will also take place at Guavaween! So come dressed in your best costume! Check back soon for the complete Entertainment schedule…but you will not be disappointed! So get your tickets now!